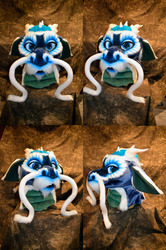 Built on a Stuffed Panda Studios toony dragon headbase (https://www.etsy.com/shop/stuffedpandastudios). Head features follow-me toony eyes, and adjustable whiskers with internal wire. 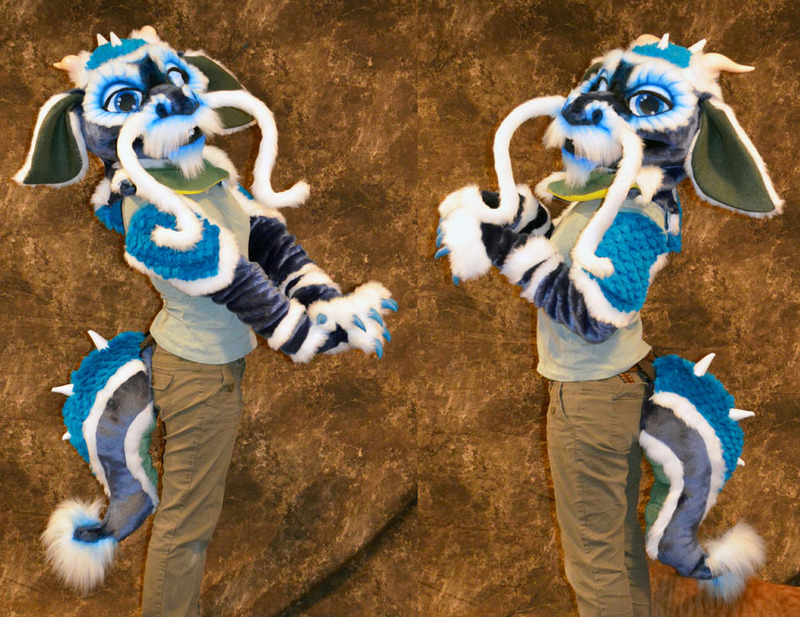 Along with the head I made a cute curly tail, handpaws and arm sleeves. 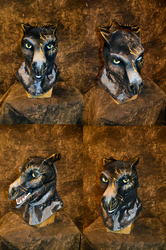 Head will be up for sale next week! Patrons get first dibs before I will put it up for auction.